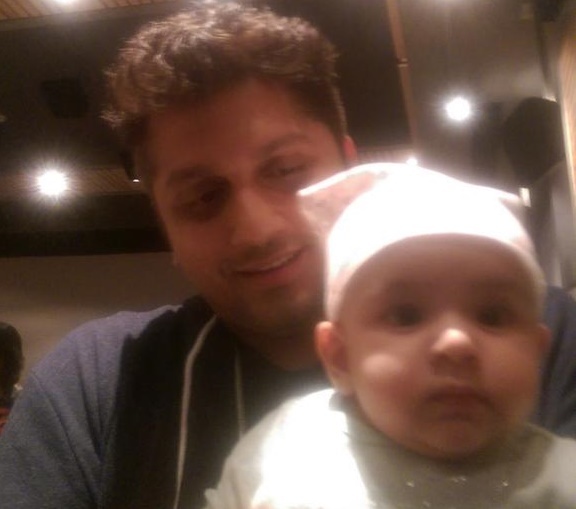 Bollywood filmmaker Mahesh Bhatt has unveiled the first photo of Mohit Suri and Udita Goswami’s daughter Devi on his Twitter page. Mohit Suri had tied the knot with actress Udita Goswami in 2013. The couple welcomed their first child Devi earlier this year. Mohit Suri had held the screening of his upcoming venture ‘Hamari Adhuri Kahani‘ . He was accompanied by his daughter Devi, who watched the entire film sitting on her father’s lap. Hamari Adhuri Kahani– based on on the love story of Bhatt’s parents — stars Emraan Hashmi, Vidya Balan and Rajkummar Rao in principal roles.The film is scheduled to hit theatres on June 12.